This year will be my second year in a row to participate in the A-Z blogging challenge. I'm back in town and I have made it through some demanding times, so action is really going to pick up over here. It's a really interesting exercise -- a mix of structure and randomness, planning and exploration. Some of last year's posts remain among my most popular and continue to be viewed, and some of my readers found this blog thanks to the blogging challenge, just as I found theirs. I hope you will include stopping in for day one in your celebration of Palm Sunday or April Fool's! The last half of the month got pretty hectic, as you can tell from my missing my regular feature the last couple of weeks. Besides an increased demand from my students who are starting to realize that they have entered the Now-or-Never portion of the semester, I am also negotiating a couple of major life changes which entails getting lots of things done. However, I always have to read something (and it has to be unrelated to work) before I fall asleep, and so while my blogging has suffered, I've still been reading. 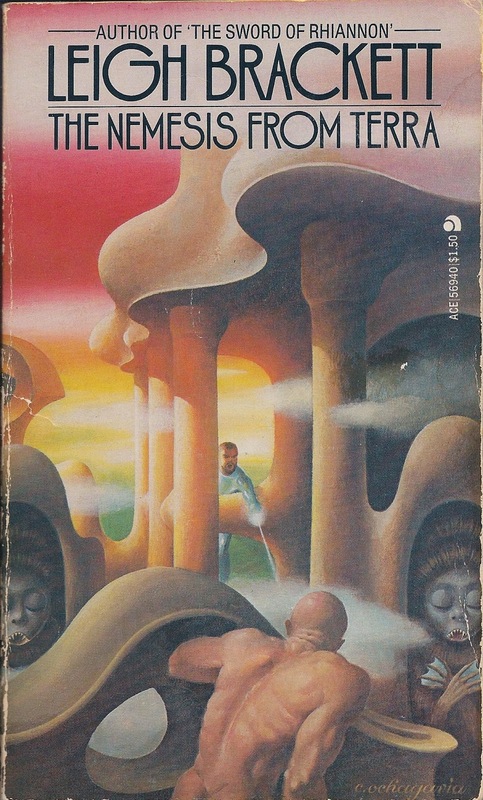 I recently got hold of two more Zelazny volumes, so the acquisition of Vance and Zelazny novels that I missed out continues to be more often Zelazny than Vance. First I found Lord of Light and then Changeling. (Scans of the covers are to the left and above.) Lord of Light was quite enjoyable -- a creative use of Hinduism and Buddhism to create a sci-fi tale of advanced humans using their technology to rule over a world colonized with humans who are kept in pre-scientific times (take Clarke's Third Law, apply liberally). So the tale feels very close to fantasy and even alternate history, in spite of its scientific rationale. My copy is a Gollancz reprint. I'm very grateful that they reprint older works like this, because they are already harder to find than I would wish, and usually they do an excellent job with them, but this one seemed to have more editorial issues than previous volumes I've read. They were pretty much all irritating spelling errors that made the word that context demanded into a similar word, with maybe a single letter different. Whatever they are using to spell check, they clearly need a pair or two of patient and attentive eyes reading these before they go to press. The next book I finished was Sharon Kay Penman's Time and Change for a heaping helping of my favorite Plantagenet king and murdered archbishop of Canterbury (by the way, nice Richardian hand inscription in the front, Ms. Penman). 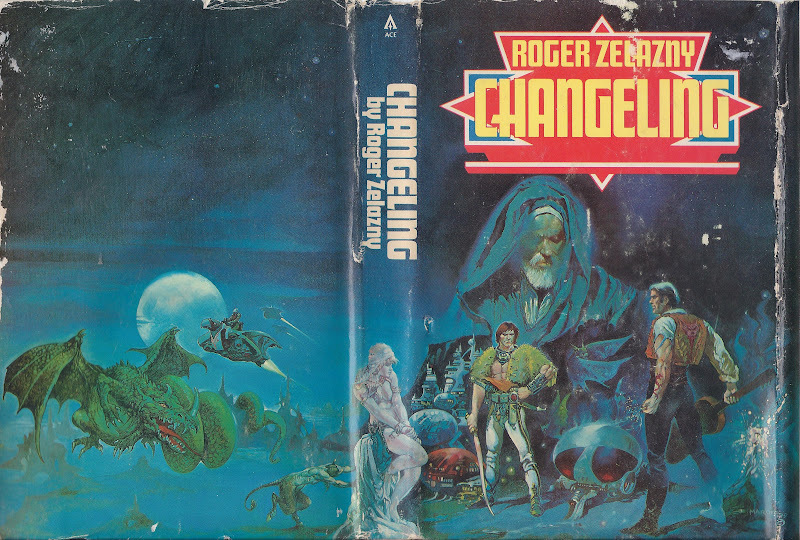 After that literary jawbreaker, I was ready to go back to Zelazny. Changeling was next -- very fun pitting of science vs. magic that is perfect for fans of Expedition to the Barrier Peaks. It is also to be recommended for its excellent interior illustrations by Estaban Maroto. These two Zelazny novels motivated me to go out and find more, so I picked up Dilvish the Damned and The Changing Land. Thus I have continued to catch up on good old Sword & Sorcery that I missed out on the first time around. 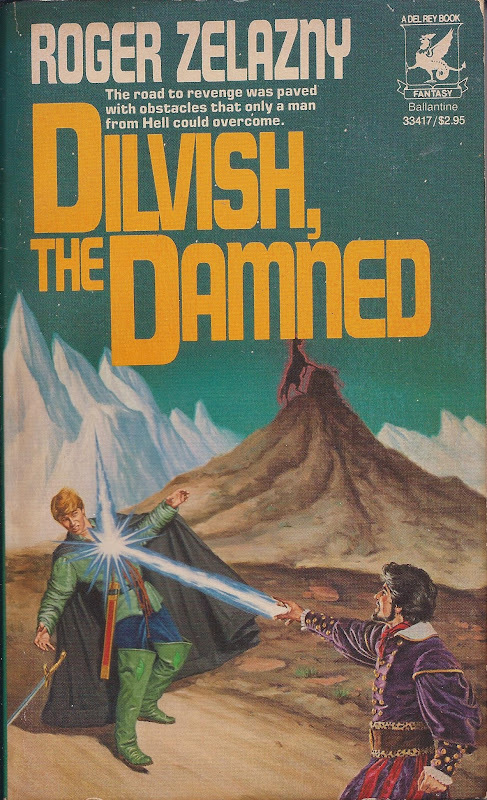 Dilvish and Black stand with Corwin as my favorite Zelazny characters so far -- though you have to work a lot harder to gain an impression of who (what!) Black is. 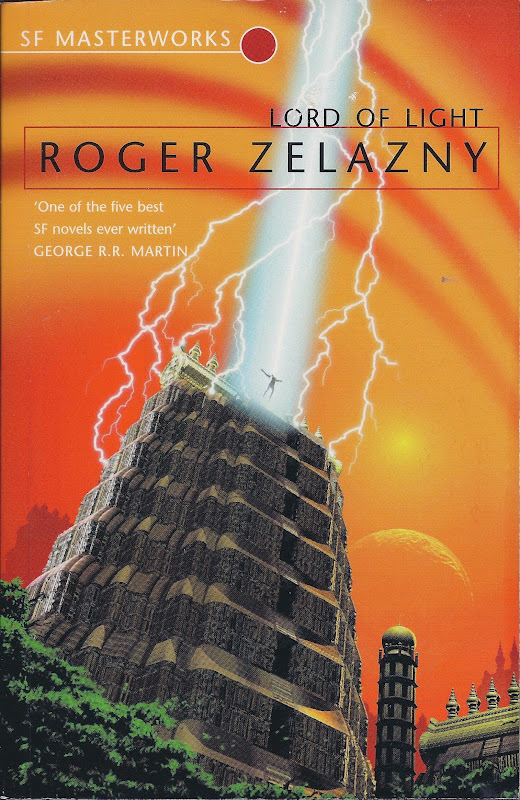 If you haven't read these Zelazny novels yet, then consider this my recommendation. 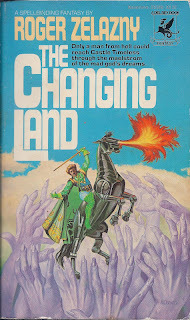 They are quick reads with plenty of action, speculation that doesn't overpower the story (with perhaps the exception of Lord of Light), and plenty of harkening back to the older weird tradition. Also, the romantic elements tend to be more understated and less formulaic, which make for a nice change of pace. My only complaint are the cover illustrations. I would recommend not allowing them to influence your own imaginative projections of Dilvish, Black, and their world. Well, that does it for the Zelazny that I know I want to read, with the exception of Creatures of Light and Darkness. Anybody have any other suggestions for future reading or comments on their Z love? In the meantime, March will probably end on a bit of a whimper while I try to take care of other fires, and I plan to crank the blog back into overdrive for April. Thanks for not giving up on our rambles together! My brother-in-law, two of my nephews, and I ended Spring Break on Friday with our second Burnt Offerings session. Eleven hours of primo play at their house (thanks, Sis!) got us from the fallout after the Swallowtail Festival including a little Foxglove drama (somebody's crushing on Minerva!) and goblin-hate fueling tragedy, then the heroes of Sandpoint went looking for their missing hostess in the Glassworks of Sandpoint. I gave absolutely no hints beyond describing what they could see from the outside with all the windows covered and what they could see through the skylights after they crawled on top of the building. Everything went right for them. They took a route through the Glassworks that avoided goblins and their attentions, except for one that they killed before he could do anything to alert the others. They thus took a direct route around dangers to the kidnapper who was unwarned and in a sodden sleep. Capturing him without a fight, they found their hostess and got the two of them out and to the authorities with a hitch or a scratch on them. I was impressed with their decision making and their luck. It ended there. What had happened so far was interesting, but hardly challenging for their 2nd level party, but for what came next, I'm glad I had taken them through the Black Fang adventure in the Beginner Box and let them gain a level before starting BO. The returned, killed the goblins, and found their way into the Catacombs of Wrath. They had some decent fights, but with some healing, it was no big deal. I forgot one of the the minions of leader of the dungeon -- the second toughest fight in the dungeon -- because I got confused where he was supposed to be. No big deal, I thought, I'll just have him (CR 3 mutant goblin) enter during the fight with the leader (CR4 quasit cleric of Lamashtu) from behind to spice things up. She creates a (CR2 sinspawn of wrath) and casts some summoning spells and then focuses her attacks and damage spells on Minerva, the first who broke the sanctity of the Cathedral of Wrath. What a fight! They were busy with her minions and summoned creatures and she was free to cause havoc from a distance. Rogar went down first. Ezren heroically stood over negative HP Rogar to keep him from being coup-de-grased. A critical hit killed him in one blow. Minerva was taken down to 0 HP and disabled. Zordlan was fighting alone and I thought the end was at hand. Zordlon killed his opponent (CR2 sinspawn of wrath) and moved to the (CR 3 mutant goblin). Minerva moved to the cleric and rifled his body for a healing potion while Zordlon killed his last opponent. 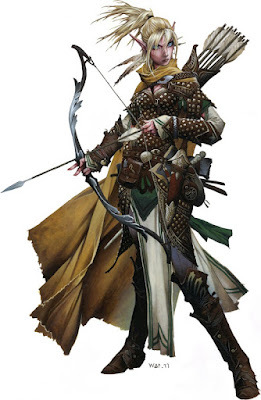 They were then in a position to face the (CR4 quasit cleric of Lamashtu) who was out of spells and dealt her enough damage to trigger her flight (per the text). Going through their equipment, they saw the Scroll of New Life they got from Black Fang. They stopped mourning the heroic Ezren and used the scroll to bring him back! This was some of the best gaming I've had in recent memory, and the players were majorly pumped. They had lots of emotional highs and lows, and it ended with them overcoming great adversity in just the last couple of rounds. Defeat loomed, but they prevailed. They made off with some decent treasure and were only disappointed that the BBEG was able to flee to fight another day. Pathfinder's Beginner Box continues to provide plenty of play. It simplifies a solid system, and I have done zero conversion to the 3.5 AP so far, playing it basically as written (but with my little embellishments). Callous Jack's minis provide what I am lacking in the minis department -- my only complaint is that Paizo made him split most of the new bestiary monsters out of the volume sets that they belong to and offer them as a separate set -- almost never have I felt that Paizo made a stinky decision, but this smells like one. Because of it, I have so far not incorporated any of the optional new creatures in the adventure. I think everybody is growing both tactically and as role-players, and above all, they're having a good time. I can't wait until next time. I'm weighing whether to level them up to third before they take on Thistletop. At the least, I think Shalelu will accompany her elven friends to lend them a little more fire-power. Link to first session report. Last week, I blogged about the tendency of gnomes to get swallowed up by the other demi-human races and to fail to achieve a strong and distinct identity as a fantasy race. This happens in realms other than the fantasy role-playing game by the way: for example, halfings (as hobbits) are gardeners, and our Huygenian/Poortvlietian gnomes are gardeners. But before the Huygen/Poortvliet revolution in gnomes, my grandmother had garden gnomes -- which were Disney's seven dwarfs! Some campaign setting designers have dealt with this by playing up the gnomes as fey creatures, but there they are in danger of getting lost in a sea of little people, such as brownies, sprites, pixies, leprechauns, and so forth. In response, I proposed a new direction for gnomes, so here it is. Gnomes are an elemental race. Now, I didn't invent this, I picked it up from Paracelsus, who conceives of an elemental spirit for each of the four elements, with the genomoi or earth-dwellers for the element of earth. * Re-conceiving of the gnome as a creature in my gaming bestiary begins here. Paracelsus speaks of gnomes passing through earth like a bird passes through the air or a fish through water. Make the gnome a burrower , and now you are on the path of a creature that would rarely be encountered above ground. Naturally, the gnome can communicate with burrowing animals. A natural candidate for its native language would be Terran. Artists attempting to tweak the appearance of gnomes should think about how small humanoids should look if they are elemental creatures living in the earth and develop their appearance in ways that will help give them a distinctive look that goes with this proposed distinctive character. From this basic premise, I will proceed by doing some word association. Beginning from Paracelsus' apparent derivation of the word gnome and its place in his scheme of the classical elements, let's follow his lead and look for the identity of gnome in our language. False etymologies in the real world can be true in your mythopoesis. The gnome calls to mind the Greek word of knowledge, gnosis, and its English verbal cognate, know. This is a creature to be associated with knowledge. Happily, the word itself is used for "short, pithy statement expressing a general truth; a maxim, an aphorism." One of its strongest attributes would naturally be Intelligence. What does the gnome know? Things pertaining to the earth and to the subterranean realms, and, to continue to draw on Paracelsus, in particular the alchemical properties of the earth's contents. Alchemists would greatly desire a gnome servant, familiar, or mentor, and like other intelligent elemental races, would be among the greatest alchemists themselves. The use of maxim and aphorisms is the provenance of the wise. We are struck by such utterances, but we struggle to grasp their depths. The gnome is a deep dweller, both physically and spiritually. The race should be as marked by Wisdom as by Intelligence. Gnomes can be a great source of sage advice for questing characters. The heroes on their journey may meet a gnome as one of their mentors or guides. Work on your profound and opaque sayings, or find a fund of them in some source material that you can adapt so you can give your players something to ponder as they adventure. The gnome also calls to mind the Greek word for law, nomos. For that matter, the race's name could just as easily be derived from Earth Law. It's a nice confluence with the earlier D&D tradition, by the way, in which gnomes were usually law-aligned creatures. They know the laws of the earth and they follow them. They would be enemies of anything threatening the order of earth, which would, by the way, allow them to keep their traditional antipathy for kobolds. Here's another interesting word: the gnomon is the rod on a sundial for indicating the time. The presence of a gnome could itself indicate something about the area where they occur, like frogs in wetland and canaries in a mine. A single gnome could indicate an area is healthy and safe for an individual to venture, while concentrations of gnomes could indicate an area under threat where they are gathering to protect Earth Law. No gnomes could indicate an inhospitable area, and dead gnomes could indicate a hostile one. The nose was also humorously referred to in the past as a gnomon, which suggests that the tradition of gnomes having a prominent nose is a good one to continue. Burrowing creatures generally have poor to no eyesight, so perhaps the nose is the gnome's dominant sense organ. A superhuman sense of smell could be the source of a great deal of gnomish knowledge of the subterranean conditions. This basic premise and the four associations cluster naturally around the name of the creature itself form a basis for a reimagined identity that is stronger than "the other dwarf" or yet another small fey race. I will continue to take gnomes in this direction, and will be curious to see what my ideas might spark among you, mythopoeic Mondayers. I entered the cinema with hope, in spite of the fact that I had been fearful for weeks. I discovered John Carter of Mars as an eighteen-year-old college freshman and had loved it, faithfully scooping up every Michael Whelan cover-illustrated volume and gobbling their contents. The setting of the D&D campaign I regularly played in was a direct descendant from the Dray Prescott books which was a direct descendent from John Carter of Mars. All those years of being a fan and seeing the great body of fantasy illustrations produced for the series went together with the stories to form my imagination of Mars. The past months of trailers, however, caused me concern. While I was happy with the Tharks, the other images I was seeing didn't match up with my mental images -- in the cases of the white apes and architecture, a little, in the cases of John, Dejah, and the airships, a lot. In spite of these differences and how they magnified my fears of what often happens when someone tries to make a show out of books you love, Disney's John Carter of Mars comes out a winner for me. The two main actors pulled off the characters on the screen in spite of the fact that they didn't match my images, and they were accompanied by an excellent supporting cast. Together with the vistas and the action, they sweep you along. My non-sci-fi fan wife, who'd never heard of John Carter, was swept right along with her trepidatious husband. At this point, my biggest complaint is the way Thern technology looked -- the blue crystalline energy structures, in particular. It's a look that is hard to related to. Otherwise, the film won me over as one, very good, vision of Barsoom. The story is mostly based on Princess of Mars, but works in some elements from later in the story as well. 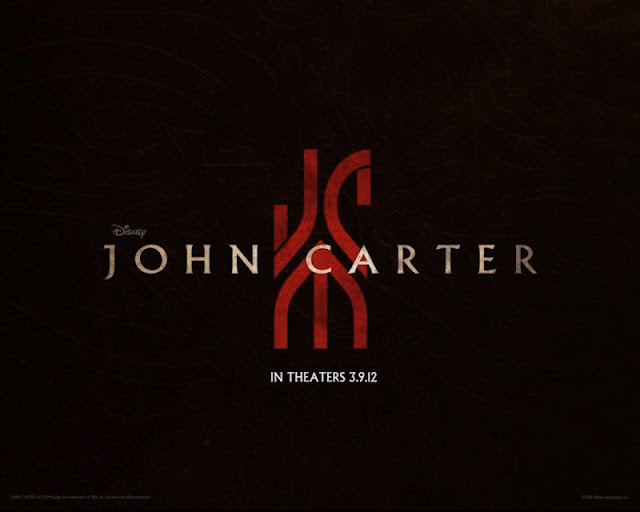 I'll be very curious to see if this give rise to any further filming of John Carter stories. A final note: while the 3D wasn't the most impressive use of the technology, I saw it in IMAX 3D and I enjoyed it in that format. My involvement with roleplaying games began on the cusp of the Eighties. While in seventh grade, I was shown a AD&D Monster Manual while sitting in art class by a peer. I was instantly fascinated. I had always been a kid fascinated by the fantastic. Three years previously, I had tackled The Lord of the Rings at the tender age of ten. As soon as I realized that this game was out there, I had to know more. I rapidly found a group of boys much like me who played every weekend, and the course of my next five years was charted. We played obsessively, but our little group was a self-contained bubble, often veering off canonical rules and just playing whatever way we wanted. None of us had the slightest desire to attend any gathering of geeks, in fact we were all fairly antithetical to groups in general. Years rolled by, and my interest in RPGs waxed and waned with my life. I went years without playing, and sometimes had periods where I played intensely. However, I retained my childhood mistrust of gatherings, and I never felt the urge to go to a gaming convention. 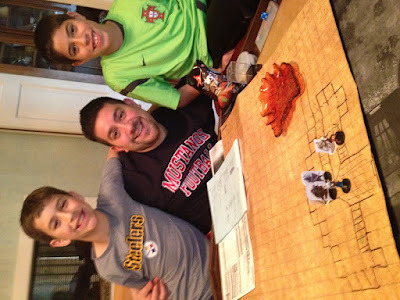 During the past four years I have become more involved than ever in RPGs via the Pathfinder gaming system. The rise of internet forums and social networking has also allowed me to come into contact with the larger community of tabletop gamers scattered across the globe. I have come to view many of these distant gamers as fast friends. Case in point, my gracious host Theodric, whom I have never had the pleasure of meeting face-to-face. With the formation of these virtual friendships has come the urge to actually meet these folks in person, share a beer, roll a few dice, and do the many things that come with tabletop games in ‘meatspace’. To that end, I have arranged to attend PaizoCon this July, where I hope to meet many of my friends for the first time. Before I made the leap to the major leagues, I wanted to experience the convention atmosphere in a smaller, more intimate venue. I also had some more regional internet friends whom I wished to meet. As luck would have it, there was a convention in my home state of Massachusetts known as TotalCon. Several folks I respected were also putting on a competition known as IronGM, and I was curious to experience it. I decided to take the plunge. My situation in life unfortunately means that it is difficult to find time away from the house, however, thanks to a patient geek-loving wife, I was able to get Saturday off to attend. As I travelled up to Mansfield, I was nervous. What would it be like? I had met only a handful of gamers in real life, I had no idea what to expect. When I arrived at the Holiday Inn, I entered and immediately spotted my brethren clustered at many tables. The clatter of dice and the sussurus of discussion of actions filled the main atrium of the hotel. I registered, and went to check out the vendors. One main facet of my involvement in RPGs has been as a collector. Ever since my earliest days I have been interested in collecting books, magazines, and miniatures. At the various vending tables I found some fantastic pieces, including several old Dragon Magazines from the early Eighties and several Spelljammer accessories still wrapped in plastic. A few geek t-shirts and a few miniatures later and it was off to experience IronGM. I went to the stage set with tables and met the first of my virtual friends, Rone Barton. Rone is one of the co-creators of Iron GM, along with Lou Agresta, another long-time virtual friend. I sat down to a great fast-paced game in which the GM was given an hour to come up with a scenario based on three words: Archon, Abbey, and Appeasement. As I awaited the game I came into contact with another virtual friend, Mike, who sat down with me and rolled up a bard alongside my rogue. We became the team of the Crimson Masque and Fingers Took, amoral road gypsies looking for a big score. Unfortunately, we didn’t find it and fell afoul of some cultists in a corrupted abbey guarded by a Gibbering Mouther. I have to say, I found the experience a lot of fun. Not only did I have a great experience, but it smoothed my concerns about my future attendance at the much bigger event I plan to attend in July. Truly, I was happy to lose my con virginity to the tender mercies of the TotalCon event. 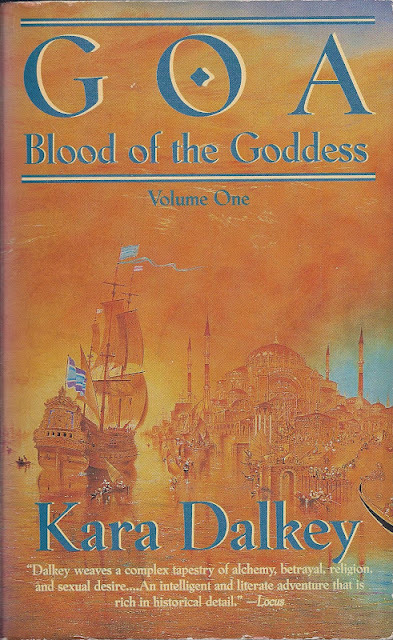 From the original Deities & Demigods to The Path of the Eclipse to Indiana Jones & the Temple of Doom to Death in Delhi, the image of the bloodthirsty goddess and her thuggee cultists persists in our dark fantasies. 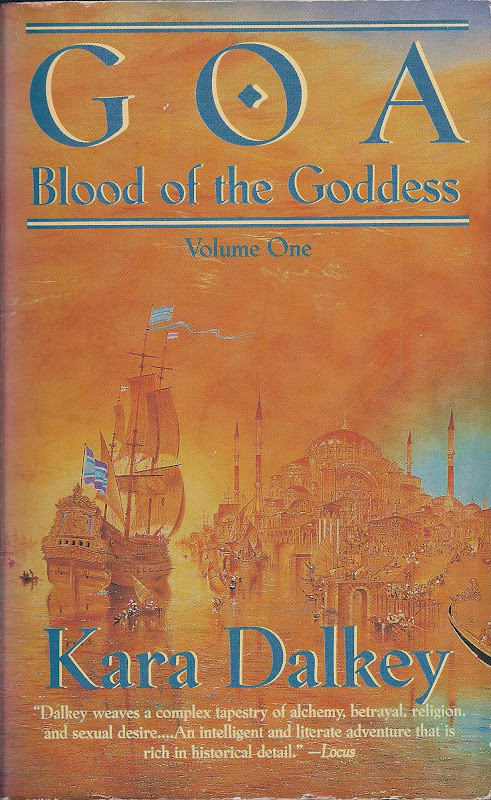 I ran across this again in Goa, the first of the Blood of the Goddess trilogy. * I've been holding off reading this for some time, hoping to pick up the next two books, but I gave in and decided to read this before Zelazny's Lord of Light. Writing historical fantasy is a tricky business, both in terms of avoiding what we might call the Steven Spielberg/Heidi Klum offense when related historic communities depicted still exist and in terms of historical accuracy. Dalkey seems to have concentrated her research in this period of Goan history and the Goan Inquisition. While I am not an expert in the Inquisition, much less its history in Goa, I have at least done work in English Reformation and Hinduism, and these are areas (particularly the latter area) where Dalkey hits several notes of historical tone-deafness. If you won't tell the difference or don't care, then you can enjoy the flavor, plot, and characters. If you know a good deal about these areas, you might best be warned away if you can't grit your teeth and say "this India in 1597 is different from ours in more ways than just 'magic is real.'" I'm on the fence here, but Dalkey's characters and plot may tug at me enough for me to grit my teeth and continue with the next volume at some point. She certainly makes me wonder what is going to happen to the characters on their way to Bijapur, and if they will fall into the clutches of a goddess whose name is strength or men whose character is ruthless. Heidi Klum may have gotten in trouble for this, but she does capture something of the duality involved. * For a Kara Dalkey lovefest, see here. In the past, I have alluded to the fact that I continue tinkering with rules to produce my own version of the ideal OSFRPG, drawing mostly on B/X, Holmes, and Swords & Wizardry, while adding in house rules I've used over the years, my own new ideas (wand spells! 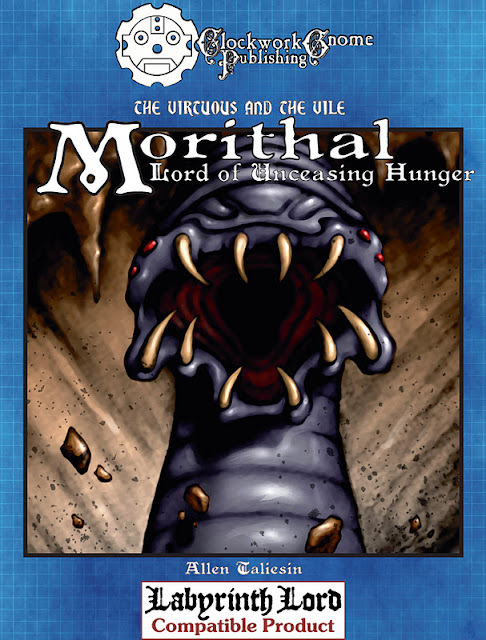 ), and anything cool and relatively rules-lite from any OGL source I might find helpful or adaptable, including Pathfinder. Usually these rules documents get shared with friends, experimented with, and put away in files against The Day of the Great Integration. But A Paladin in Citadel recently complained about the lack of fatigue rules in D&D, so I was jarred into sharing what I had been working on, below. Hit Points (HP) are an overall measure of how long one can stand up to the demands of combat. When your character reaches 0 hit points, your PC is exhausted. Exhausted characters (1) lose their Dexterity bonus to armor class, (2) begin taking Constitution damage, and (3) have to make a Con check at the beginning of each round to successfully act. At 0 HP, the character may choose to continue the strife or retreat, but any additional damage taken will come directly off of the PC's Constitution score. On every round after reaching 0 HP, the player must roll a Constitution check. Let's say the player Cassie is playing her character Bork the Barbarian, Fighter 3. In combat, Bork reaches 0 HP and has a phenomenal Con of 18. The next round, Cassie rolls a d20 and the result is a 16. Having passed the check, Bork may take only one regular action: move or attack (or cast, if Bork had been a magic-user1). Bork attacks and deals damage to the opponent, but takes 5 points of damage in the ongoing melee, bringing the PC's Con score to 13. Next round, Cassie rolls the check and rolls really low: a 3! Bork continues the fight, but deals no damage. However, the monster deals two points of damage, bringing Bork's Con to 11. Next turn, Cassie rolls the check to see if the Bork can take an action. The roll is 12. This round, heaving from the strain, Bork is unable to successfully accomplish anything due to his exhaustion. (The GM might narrate Bork attempting the intended action something like: “The arc of Bork's great club is so sluggish, the bugbear chief has plenty of time to duck the swing.”) Unfortunately, Bork continues to take damage. This round, he gets smacked for 7 points of damage, bringing the PC's Con down to 4. Rolling a 4 at the beginning of the next round, Cassie decides Bork will get out of the fight while the getting is good! If Cassie had allowed Bork to reach Con 0, he would have died. For every one hour of rest, the PC gains back the number of HP equal to one's current Con score. If the PC has undergone Con damage, one uses the temporary Con score. To continue our example from above, one hour of healing would get Bork 4 hit points. Sleeping a solid 8 hours, in a relatively comfortable environment will heal 8 x Con hit points. If Con damage has been suffered, then those eight hours would also heal one lost Con point. So building on the example above, Bork would gain 24 HP back and have a Constitution of 5. However, the maximum number of HP than can be regained must take into account the number of those hit points that were Con bonus. In Bork's case, nine points of the character's original HP total remain out of reach until Con levels are regained that enable the restoration through Natural Healing of bonus HP tied to Con. Fourteen nights of sleep back at the Green Dragon Inn are in order, if they can be had. If the adventure presses and time is precious, the player will weigh the need for Con and HP restoration against the pressure of time and the threat of failure. First level healing spells (i.e., Cure Light Wounds) heal only hit points and not Con damage. Higher level healing spells heal Con damage first, then any hit points. 1Note, however, the dangerous synergy of Con damage with the desperate Con for casting rule. If a magic-user is out of spells and chooses to cast a known spell from a spell-book by sacrificing Constitution points (one point per spell level), the magic-user can die very quickly. Ever since I first ran into gnomes, they've seemed to be a fantasy race looking for an identity. Or maybe a better way of putting it would be, competing for an identity with the other player character races. 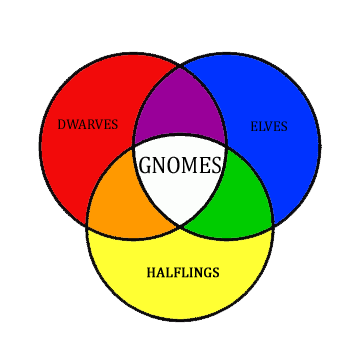 My thesis is that gnomes are always in danger of getting absorbed into one of the three, clearly distinguished, iconic fantasy races that are standard in D&D and other fantasy role-playing games in the D&D lineage, per the diagram above. The order I pursue is not chronological, but thematic. When I first met them in Basic D&D, they were not a player character race, but in the MONSTERS part of the rulebook. Therein, they are described as a "human-like race related to dwarves. They are smaller than dwarves, and have long noses and full beards" (B36). They save like dwarves and are metalsmiths and miners like dwarves, but they "usually live in burrows in the woodlands" (ibid.). They share the characteristics of dwarven greed. They still are enemies of goblins and kobolds, especially kobolds. By 1981, they have already acquired their "love of machinery of all kinds" (ibid.). Uninteresting and unillustrated, they did not stand out from other monsters. For that matter, they seemed more like potential allies than monsters, but even then, why would a more halfling-sized, and perhaps more human-like version of the dwarf be needed when we already have halflings and dwarves for NPC allies. I didn't know hobbits at the time, so I didn't think of them when I read that they lived in burrows. I would have more likely thought of dwarves, who also lived in the ground. But once you know of hobbits, the gnomes loose the distinctive nature of their homes, with the exception that they live in woodlands, unlike dwarves -- but like elves! 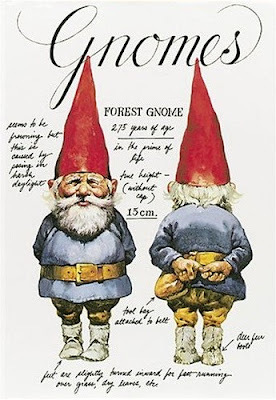 I was not familiar with the Huygen/Poortvliet gnomes either, later popularized by the David the Gnome cartoons, Amélie, and Travelocity, but these gnomes live underground in woodlands (in trees root-systems, in fact). But they are much too small to be D&D gnomes -- they're smaller even than some of D&D's fairies, and arguably too small to work well as a PC race. But even if one imagined them living in a woodland of giant trees (and animals), they are more similar to various fay or elves that live in mounds or trees in folklore. They'd be left with the distinctives of beards and dress, which is not much more than the distinction from dwarves by a nose. Now we have an impression of gnomes as fey dwarves. 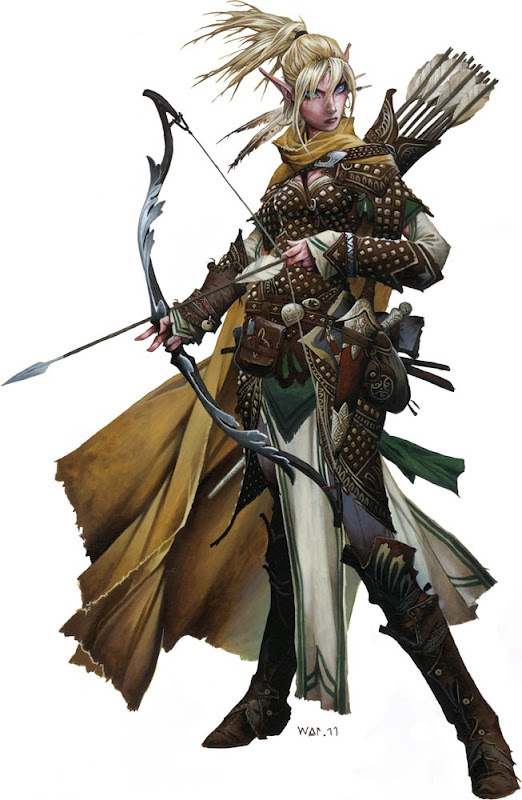 In a fay focused campaign, there might be a call for such an elf-dwarf hybrid. It's not the first time that gnomes have been associated with elf-kind, nor, we shall see, will it be the last. The idea that gnomes are tinkers or engineers seems to me to have picked up on the phrase about their love of machinery in Moldvay's Basic and expanded it to the proportions for which they are well-known in World of Warcraft. As I understand it from various podcast interviews, this was a contribution of Jeff Grubb to the Dragonlance setting, which took off in 1984, just a few years after Moldvay. While this is one of the more successful attempts to distinguish gnomes from the other demi-humans, it doesn't preclude gnomes being an off-shoot of dwarves or elves. 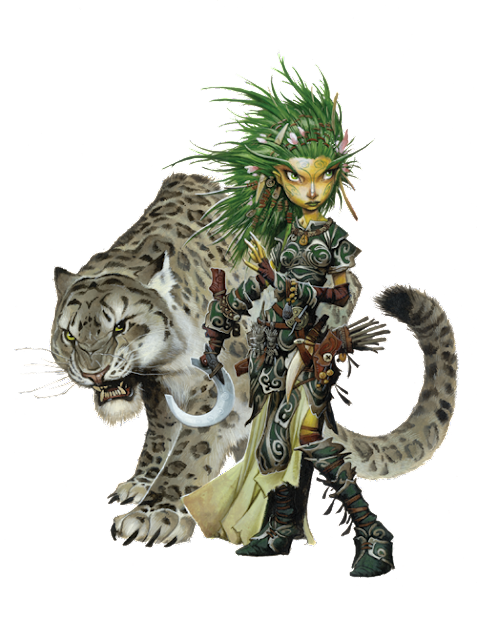 For that matter, Dragonlance has its version of halflings, the Kender, as an off-shoot of gnomes. I think it is obvious that gnome tinkers could be as much a development of dwarf smiths as gnomes could be an off-shoot of dwarves as a race. But why do I bring elves in again? Think Keebler elves. Or Santa's elves. Or the cobbler and the elves. Once again, gnomes are overlapping with the elves/fay niche. I'm not a fan of the Dragonlance setting as a whole. There are some really great ideas in it, that I would consider re-purposing for another setting, but the whole package doesn't appeal to me. That doesn't mean that the gnome as (fey) tinker might not reach the desired level of distinction if it fit as a key element of design in a well-conceived setting. If anybody can put together a setting where this concept would come off strong, I think I know who that publisher would be. The description of gnomes grows in AD&D. Not all of this description is distinctive: like dwarves, the basis of society is the clan and they are miners. On the distinctive side, most are said to be colored wood brown. (Note, another fay characteristic.) They are said to live in both earthen burrows and rocky hills (the latter, again, like dwarves and now 75% of the time). No explicit mention is made of woodlands, but the common presence of badgers and wolverines in their lairs and their ability to communicate with burrowing animals would seem to suggest woodlands more so than rocky hills. Finally, they are identified now with a particular class in which they are talented: illusionist. 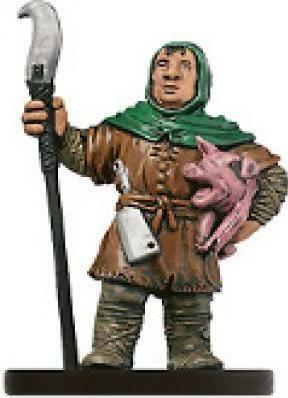 The common number of gnome illusionists or thief/illusionists is suggestive of a trickster figure -- a direction that we will see developed in Dragon Magazine and later publications. Both tricksters and illusionists are especially identified in folklore with fey creatures. WAR's Lini is a lot cuter than 4e's freakishly fey gnomes, but she's still a wild child. One of the acknowledged literary sources* of D&D is the fiction of J.R.R. Tolkien. Does he offer a solution? By no means! For Tolkien, gnome is a term that he initially used for the Noldor, one of the elvish lines, specifically, the line that is exiled to Middle Earth. To follow Tolkien would lead us back towards the elves -- his elves, which have nothing short or funny about them. The problem of the making the gnomes a distinctive race may not matter to some gamers, although, from the amount of buzz I hear on this issue, not to mention the number of gamers who just want to ignore the existence of gnomes in their games, I think a sizable group of people are thinking along lines similar to mine. But if you are happy with gnomes as an off-shoot of dwarves or another fey relation of elves, then you only need to develop them into a distinctive sub-race, if you will. Just as sub-classes are only a little distinct from the larger, iconic class from which they derive, gnomes are smaller more specialized versions of their relations. For those who only want a shade of distinction, this is enough and gnomes aren't problem. Whether they are all that attractive is another matter, and I won't presume to speak for such folk. As you might have supposed, I do see another way forward. I will treat the directions I am taking to develop gnomes along a distinctive line, breaking them out of the overlap of the other demi-human races, in a future installment. I've also been going back to look at old Dragon Magazine articles, so I might flesh out some of what I have pointed out here from those sources in some future installments as well, but on this I am still undecided. For now, I will note that the direction I am going to be pursuing does take them in a non-fey direction, but in settings where the fay are particularly important, I wouldn't worry about making faerie the distinguishing factor. In such a setting, dwarves, gnomes, and elves would all be fey creatures, along with many others, as they all are in the original folkloric sources, and the focus would be on distinguishing kinds of fey creatures from one another. However, that is not the way I will be pursuing in the settings I currently have in mind, nor in this series. If you are interested, stop back for the next installment of Mythopoeic Monday. NB. I use fay as a noun and fey as an adjective. If I'm in an archaic mood, I'll use fae instead of fay. Fairies (or faeries) are diminutive fay. 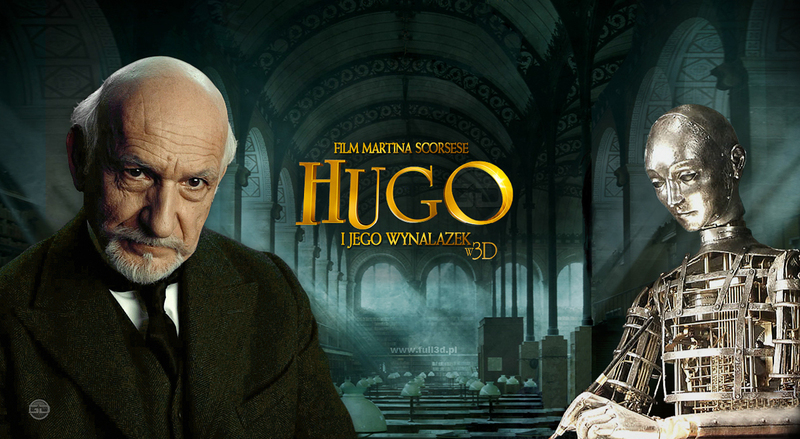 Ben Kingsley as the Clockwork Gnome? I'm probably behind everyone else, but I finally saw Hugo today (for IMDb, see here). It deserves those five Oscars. If you read this blog, chances are you'll love it, so go see it if like me, you are lagging behind. Otherwise, feel free to enjoy it a second time at home! Finally, if you like gnomes, come back early tomorrow morning for the next Mythopoeic Monday feature! Well, my last question didn't get any answers, but I'm an optimist. Maybe someone with some experience can help me with this one. I've been thinking of adding a feature to the blog that rounds up items in various categories -- whatever odds and ends I have been ruminating about lately -- a Mythopoet's Cornucopia, if you will. I'm not sure of all the specifics, but I'll figure that out as we ramble along. For now, I feel I might as well stop stalling and get it going. So, check out the items below, presented for your consideration. Bruce Heard's career falls in that period of time when I wasn't gaming, so I was never familiar with him, but I'm always interested when someone comes back to gaming, and even more so when it's a former TSR designer. If you haven't found his blog yet, you might want to keep an eye on it. Finished two novels this week: The Nemesis from Terra by Leigh Brackett and The Book of the Three by Lloyd Alexander. Both were first-time reads. The Nemesis is the first Brackett story I've read that reminded me of Hugh Cook (specifically, his Drake Douay novel). Besides the main character, it's classic Brackettian Mars. More specifically, it is her future Mars, not her ancient Mars. While it is no where near my favorite in her oeuvre, it was a fun read, and I was delighted to discover another one of her Mars stories. 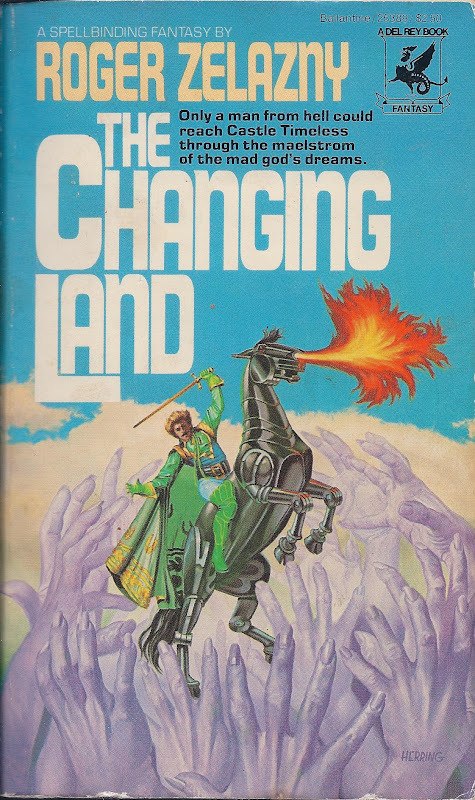 I've heard about Alexander for years -- heck, he was recommended in the reading list of the first D&D book I got as a kid! But other than the Black Cauldron film, I never read Alexander's Prydain books. So, on a recent trip to the library with the nephews, I saw the Prydain series on the shelf and grabbed the first novel, The Book of the Three, to see what is was about. Inspired by Welsh mythology, it's coming-of-age story with a number of Tolkieneqse themes, but with two advantages: it will be much easier for younger readers, and, at least in this first volume, has a strong and attractive female character (albeit, she is presented from the point-of-view of the main male character). Another quick, fun read, but this one will introduce you to a lesser-known mythos and comes with a handy pronunciation guide that I much appreciated. Finally, if you enjoyed the first installment of Flames Rising's interview of author Dave Gross, you'll want to finish it, here. Earlier in the week, I posted about some upcoming opportunities in the area for enriching the mythopoetic imagination with art. While I prefer to go back to historic sources such as these, I do not scorn contemporary, popular art on principle as another potential source. Given my strong preferences, imagine my surprise when I found it at last month's Superbowl in Madonna's half-time show. Haute couture is even less my thing than the Superbowl, and I'm not a Madonna fan, but inspiration should be taken where found. Spectacle on this scale and something as image-focused as the fashion industry are not a new marriage, but what caught my eye particularly was the obvious drawing on one of Hollywood's most-celebrated big-screen spectacles for Madonna's costume. Clearly, designer Riccardo Tisci drew on the film Cleopatra for his inspiration, but when she appeared on stage in the costume below, I thought how well she would work as an image in fantasy illustration of the wicked queen, enchantress, or high priestess. For blogs covering the designs, see here and here. EDIT: Check out the guy to the right in the Erol Otus helmet in this one! * If you somehow missed out on my ob-, er, interest in mermaids, here is a good place to start. ** Seriously, wouldn't you rather purse the matter here? *** Learn something from an analogous series, Disney: The Mummy franchise. If you can't get one of the major actors to return, postpone and do what you have to, or bring the character back later. Don't settle on a replacement, because it's likely to not work. Certainly, Mummy didn't work without Rachel Weisz and Pirates won't without Johnny Depp.